NEW DELHI: A woman passenger of IndiGo was injured after she fell from a wheelchair while being ferried by the airline staffer at the Lucknow airport, a "mishap" that has triggered a spat between the carrier and the AAI. 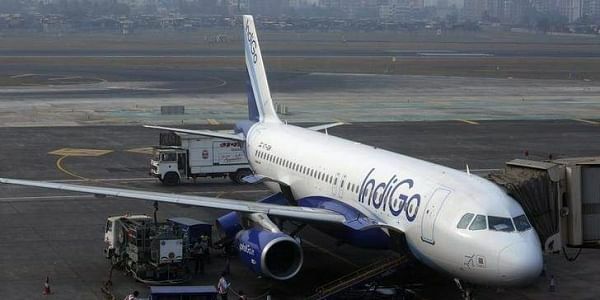 The incident took place at 2000 hours on Saturday and IndiGo has claimed that the mishap happened due to crack in the floor at the airport even as the Airports Authority of India (AAI) has said it all happened because of "gross negligence of IndiGo staff". The latest incident comes days after IndiGo came under fire and apologised following the surfacing of a video of a passenger being manhandled at the Delhi airport. In a statement shared with PTI today, an IndiGo spokesperson apologised for the mishap involving the passenger, Urvashi Parikh Viren. "Our IndiGo representative was pushing her wheelchair towards the arrival hall. As he was guiding her wheelchair through a vehicular lane, which was dimly lit at that time of the night, her wheelchair got stuck in a deep crack on the tarmac and lost balance and she fell off her wheelchair," the spokesperson said. According to the airline, the passenger was "injured" and was immediately rushed to the doctor of the AAI and was administered first aid. The state-owned AAI, which is operating the Lucknow airport, in a statement today said that as per investigations, it all happened due to "gross negligence of IndiGo staff as he chose the wrong path on the tarmac and mishandled the passenger". In response to the airline's claim that the particular lane was dimly lit, the AAI said the whole area is "having sufficient illumination". Detailed investigation is in progress and the CCTV footage is also being looked into, an AAI spokesperson said in the statement. A source at the Lucknow airport said the incident cannot be blamed on alleged poor airport infrastructure. The airline has been using the lane and there has never been any complaint till this incident happened, the source said. Dhruv Jyoti Mukherjee, terminal manager of the AAI and IndiGo representative, profusely apologised to Viren, the statement said. Further, the airline claimed, "she (Viren) was kind enough to say that it wasn't a human error and we should deal with the staff with empathy, when we de-brief our loader". It could not be immediately ascertained whether the passenger has filed a complaint. On Saturday night, a relative of the woman passenger had tweeted about the incident.